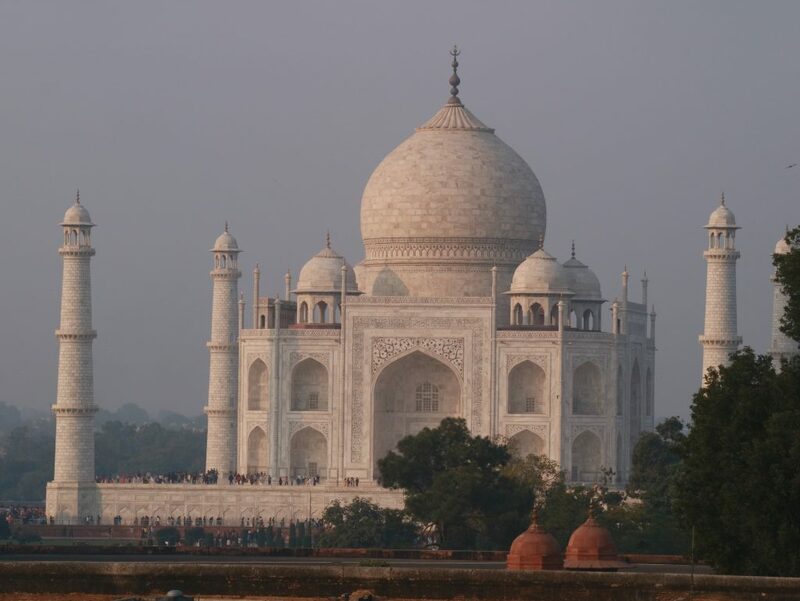 As a building of unsurpassed beauty, the Taj Mahal did not materialise out of thin air. A wide spectrum of emotions is reflected in the marble structure. Apart from love and loss, there was also pride, envy and a Herculean determination to outdo others. As much as there was love, there was also hatred and revenge. Mughal history is always intriguing and fascinating. 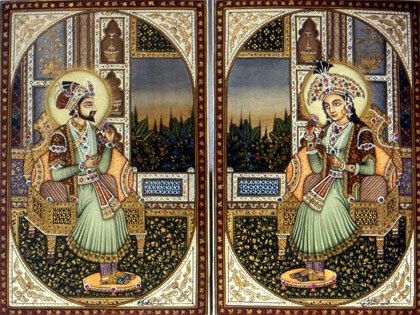 This is a tale of two Jahans – Shah Jahan (who built the Taj Mahal) and his stepmother (also his wife’s aunt) Nur Jahan. I hate “classical” history, but I love to tell stories. Let’s begin by going back a bit. Emperor Akbar’s son, Crown Prince Salim may have many wives, but he was truly smitten with just one of them, falling in love with her at first sight at some marketplace. Of Persian descent and born as a refugee in Kandahar, Afghanistan, her name was Mehru Nissa, daughter of Persian immigrant Ghiyas Beg, treasurer of Kabul under Emperor Akbar. But Prince Salim had a problem. Nissa was married and her husband was a Persian general by the name of Sher Afghan. The conspiracy theorists believe that Prince Salim had Sher Afghan killed to marry Mehru Nissa, but there is no evidence of that. Some sources mention that Sher Afghan was put to death for the murder of the emperor’s foster brother. Others believe that his murder victim was actually sent to assassinate him. Whatever his cause of death, Prince Salim wasted no time in courting his widow. Prince Salim ascended the Mughal throne as Emperor Jahangir (Conqueror of the World) in 1605 and married Mehru Nissa in 1611 as his 20th wife, conferring the title of Nur Jahan (Light of the World) on her. Her brother, Asaf Khan, would become Chief Minister. This was the beginning of the union between the Mughal royals and Ghiyas Beg’s descendants from Teheran, Persia. Ghiyas Beg was later conferred the title of Itimad-ud-Daula (Pillar of the State) and promoted to Revenue Minister of the empire under the new emperor Jahangir. After her wedding to Emperor Jahangir, Nur Jahan’s rise to power was swift, outshining all the other women in Jahangir’s harem. Meanwhile, her brother Asaf Khan had a charming teenage daughter by the name of Arjumand Banu. He cleverly betrothed her to the emperor’s son, Prince Khurram. Emperor Jahangir’s eldest son Prince Khusrau was a violent and rebellious young man. After building up a small army, he conspired with nobles to usurp the throne. This angered the emperor and his younger son Prince Khurram who took the opportunity to show his loyalty by denouncing his half brother. After several unsuccessful attempts to seize the throne, Prince Khusrau was put under house arrest and punished the usual way for royals who revolted. He was blinded with acid poured into his eyes. Spilling royal blood was taboo in Mughal courts. Jahangir’s troubles were not over. He discovered that his Pillar of the State was not only pilfering state funds, but one of his sons was actually involved in Prince Khusrau’s revolt. The guilty son was put to death, Beg was suspended from his duties and the marriage between the handsome Prince Khurram and the beautiful Arjumand Banu (Beg’s grand daughter) was put on hold. Gradually, the shrewd and calculative Beg regained the emperor’s trust and the wedding was finally held in 1612. It was a grand event; a proud moment for the royal family and their Persian in laws. The couple were a perfect match. Jahangir conferred the title of Mumtaz Mahal on Arjumand. Her aunt Nur Jahan was delighted that the two families were brought even closer together. Meanwhile, Emperor Jahangir was beginning to notice that many of his military campaigns were not going as well as he had wanted. He decided to test his younger son Prince Khurram by sending him on a campaign to subdue the defiant rana of Mewar. Khurram’s troops advanced menacingly towards Mewar. He pushed his men so hard that they often marched on empty stomachs. Intimidated, the rana of Mewar offered a truce and sent his son to serve Jahangir. 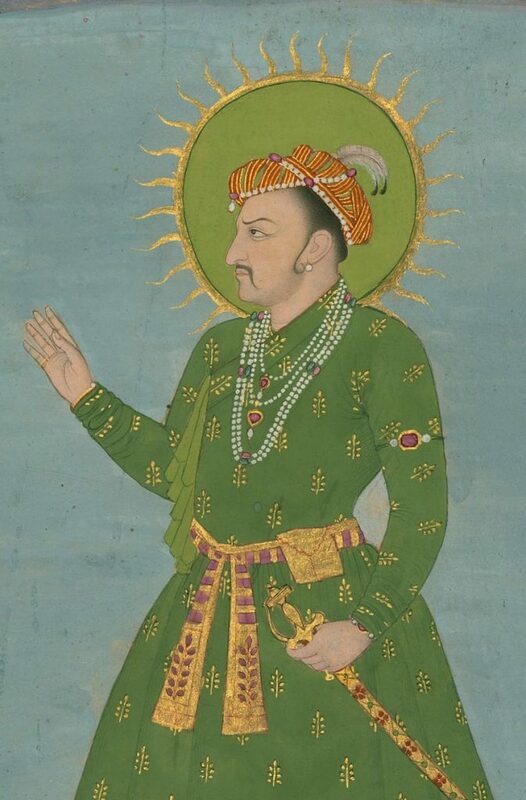 Pleased with his younger son’s military prowess and diplomatic capabilities, Jahangir sent Khurram to replace his elder son Prince Parvez in the Deccan hills in the south. It was extremely stressful for Khurram and his wife Mumtaz who accompanied him on all his missions, even when she was pregnant. Khurram was victorious in Deccan, quelling the forces of Malik Ambar and the Sultan of Bijapur. The Deccan hills came under Mughal rule. Jahangir was so delighted that he conferred upon Khurram, the title of Shah Jahan (King of the World) and created a seat for him next to his throne. Nur Jahan was elated. She threw lavish parties to celebrate Shah Jahan’s success and the quartet of Jahangir, Nur Jahan, Shah Jahan and Mumtaz Mahal (who was Nur Jahan’s niece) became a close-knit family unit that often travelled together, their favourite destination being Kashmir. Nur Jahan is often regarded as the most powerful and influential woman at court during a period when the Mughal Empire was at the peak of its power and glory. Her skills in archery and administration were often openly praised by Emperor Jahangir. While most Mughal emperors consumed alcohol and smoked opium, Jahangir was especially addicted. 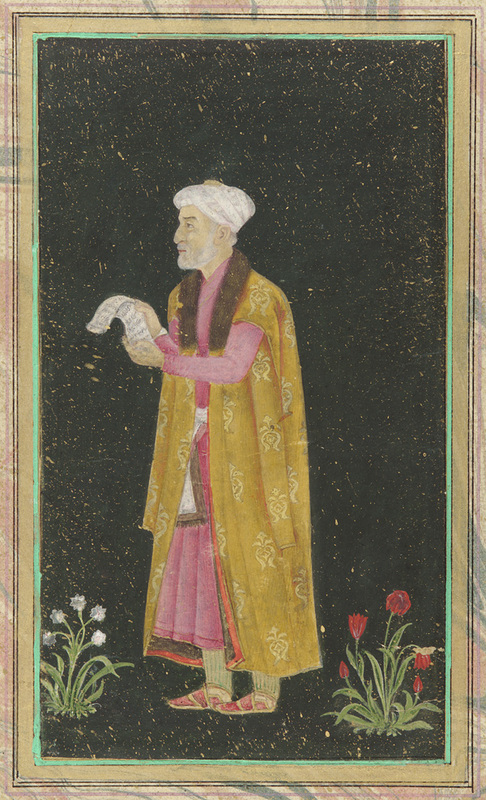 He was often intoxicated and in his incapacity, Nur Jahan made decisions and signed documents on his behalf. She even had coins minted in her name. Legend had it that Mumtaz was only a little less ambitious than her aunt. In a Mughal harem, hundreds of princes and princesses should have been born. But unsuspecting concubines were often drugged to cause infertility or eczema and poisoned candy was often given to young princes. Mumtaz’s ability to have 14 children before she died is proof that she was one of the biggest winners in harem politics. Nevertheless, 7 of her children didn’t live past their childhood. Nur Jahan soon felt that her niece was fast becoming a rival. By then, Nur Jahan’s daughter had come of age. She considered marrying her own daughter to help her control the obvious heir to the throne, Shah Jahan, but she realised that it was of no use as he was totally devoted to Mumtaz, rumoured to have mastered the art and technique of providing sexual gratification. Nur Jahan prayers were soon answered. Rebellion erupted in the Deccan hills. There was no better choice for a military commander to quell it. Shah Jahan was sent. The 6-month campaign was a success. Mumtaz gave birth to their 8th child, a daughter by the name of Soraya Bano. News of the birth of a princess fell on deaf ears in Agra. That’s because Nur Jahan had virtually looted the treasury to celebrate the wedding of Jahangir’s youngest son, Shah Riyar her daughter from her previous marriage, Ladli. The muddle-headed, intoxicated Jahangir had forgotten all about Shah Jahan and readily nodded in agreement when Nur Jahan suggested that Shah Riyar should be the heir to the throne. Soon after the rebellion at Decca was quelled, a Persian army was reported to have advanced towards the northwestern border of the Mughal empire at Kandahar. Once again, Shah Jahan was sent. Seeing that the court had stopped bestowing any honours on him for his victories and Shah Riyar had become the new favourite in spite of his lack of accomplishments, an indignant Shah Jahan demanded that strategic Punjab and a fortress in Rajasthan to be placed under his command before he embarked on his expedition. Advised by Nur Jahan, Jahangir rejected Shah Jahan’s conditions and even removed him as commander of the expedition to Kandahar. Who replaced him? The ineffectual Shah Riyar who was no doubt taking orders from Nur Jahan. Kandahar was lost to the Persians. An angry Shah Jahan turned into a rebel prince in 1622, the same year that Nur Jahan mourned the death of her father Ghiyas Beg. Her preoccupation with the construction of her father’s mausoleum could have been to Shah Jahan’s advantage, but the rebel prince was short on funds and was very much the underdog in the whole saga. Known by the title of its owner, Itimad-ud-Daula and located on the eastern bank of the Yamuna River, Ghiyas Beg’s mausoleum was set in a large cruciform garden criss-crossed by water courses and walkways. The mausoleum itself covers about 23 m square, and is built on a base about 50 m square and about one meter high. On each corner are hexagonal towers, about 13m tall. The walls are made up from white marble from Rajasthan encrusted with semi-precious stone decorations formed into images of cypress trees and wine bottles, or more elaborate decorations like cut fruit or vases containing bouquets. Light penetrates to the interior through delicate screens of intricately carved white marble. This mausoleum would become a major source of inspiration and provocation for Shah Jahan when it was his turn to construct a mausoleum. Shah Jahan invaded Agra and Delhi and failed to capture either city even though his father-in-law Asaf Khan, defected to his side. Incredibly, Shah Jahan’s army was routed by his father’s army commander and his former tutor Mahabat Khan. He retreated to Mewar and from then, he and Mumtaz were chased all over India by the imperial forces. Shah Jahan had to fight and eliminate one attacker after another and many of them were close relatives of Mumtaz. His army suffered heavy attrition due to numerous desertions as his funds ran out. All the while, the loyal Mumtaz stood by her impoverished prince, still getting pregnant and giving birth along the way. Unfortunately for Shah Jahan, life as a rebel took a heavy toll on his health and wealth. He finally decided to surrender his sons to his father in exchange for a truce. By then, his father-in-law Asaf Khan had switched sides again. Shah Jahan and Mumtaz became exiles. The rebellion had robbed them of all their power and riches. As things settled down in the Mughal court, the victorious Mahabat Khan became ambitious and decided to stage a coup. He kidnapped the emperor but Nur Jahan and her brother Asaf Khan were spared out of pure negligence. He had kidnapped the emperor on impulse, not knowing what to do with him. Not long after that, Jahangir died. Knowing that Nur Jahan would go after him, Mahabat decided to join Shah Jahan. Asaf Khan and his sister Nur Jahan planned the next ruthless move while Asaf sent a secret message to Shah Jahan, informing him of his father’s death. Shah Jahan immediately set off to claim the throne. By then, only two of Jahangir’s princes were left – Shah Jahan and Shah Riyar. Asaf Khan then plotted against his sister. He wanted his son-in-law Shah Jahan to take the throne, not her son-in-law. But both princes were nowhere near Agra or Delhi. He convinced the nobles to install Jahangir’s grandson Dawar Bakhsh as the new (temporary) emperor. Informed by his mother-in-law Nur Jahan, Shah Riyar, who was in Lahore then, attacked Agra hastily. He was defeated and captured by Asaf Khan who had him imprisoned and blinded, just like his brother Khusrau. It was 1628. Shah Jahan marched his troops north and before entering Agra, wrote to his father-in-law to have all princes in line to the throne to be “sent out of this world”. Asaf obliged and had puppet emperor Dawar Bakhsh, his brother, Shah Riyar and sons of his uncles all killed. His Persian father-in-law obliged without spilling any royal blood. They were strangled. It was only then that Shah Jahan felt safe to return to Agra and claim the throne. His ambitious stepmother Nur Jahan was exiled in Lahore with her widowed daughter until she died. The long-suffering couple could finally look forward to better days and Shah Jahan wasted no time in demonstrating his virility and indulging in sensual pleasures. His grandfather Akbar was a practical man who used sandstone for construction. Shah Jahan preferred marble. There was extensive use of marble or jali screens in Shah Jahan’s chambers. Lighting was always subdued and romantic. But Mumtaz’s days as the Empress Consort did not last long. On the 17th June 1631, Mumtaz Mahal gave birth to their 14th child and died soon after delivering the baby. Shah Jahan was distraught. Legend had it that his hair turned white overnight. After going through thick and thin with him, his beloved consort could only enjoy a couple of years back in the palace. Nur Jahan had loved her father dearly and she made a strong statement with the Itimad-ud-Daula. It’s no secret that Shah Jahan wanted to outdo his stepmother and beat her one more time, at her own game. He built a mausoleum for Mumtaz incorporating many of the elements of the Itimad-ud-Daula, but he made sure that it would be grander and more opulent than Mumtaz’s gandfather’s tomb. The first phase of the Taj’s construction was completed in 1643, in time for Nur Jahan to know about it before she died in 1645. 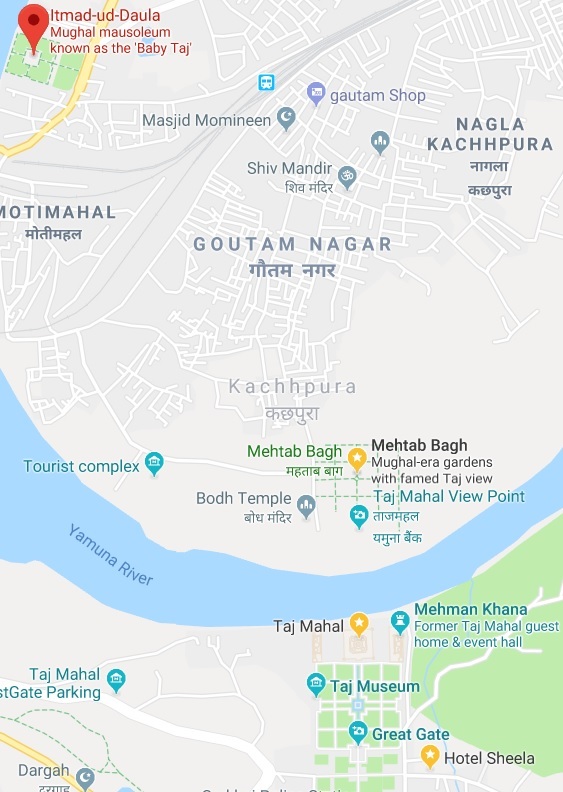 Hence, there is a Taj Mahal and there is a “baby Taj”, just as there are also two Jahans. As the crow flies, the distance between the 2 competing mausoleums is less than 2km.